1. Burke RK. Bipolar electrocautery is a vital component of an efficient, integrated hydro-dissection system. Endosc Surg Allied Technol 1993; 1:107. 2. Nezhat CH, Nezhat F, Seidman DS, et al. 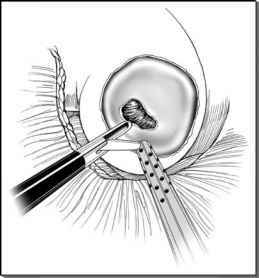 A new method for laparoscopic access to the space of Retzius during retropubic cystourethropexy. J Urol 1996; 155:1916. 3. Ostrzenski A. A new laparoscopic abdominal radical hysterectomy: a pilot phase trial. Eur J Surg Oncol 1996; 22:602. 4. Naude GP, Morris E, Bongard FS. Laparoscopic cholecystectomy facilitated by hydrodissection. J Laparoendosc Adv Surg Tech A1998; 8:215. 5. Shekarriz B, Shekarriz H, Upadhyay J, et al. Hydro-jet dissection for laparoscopic nephrectomy: a new technique. Urology 1999; 54:964. 6. Summers DA: Wateqetting Technology. London: Taylor & Francis, 1995. 7. 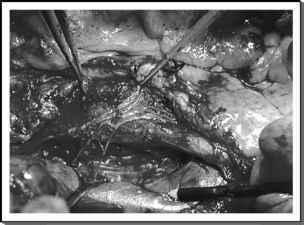 Papachristou DN, Barters R. Resection of the liver with a water jet. Br J Surg 1982; 69:93. 8. Baer HU, Stain SC, Guastella T, et al. Hepatic resection using a water jet dissector. HPB Surg 1993; 6:189. 9. Baer HU, Metzger A, Barras JP, et al. Laparoscopic liver resection in the large white pig—a comparison between waterjet dissector and ultrasound dissector. Endosc Surg Allied Technol 1994; 2:189. 10. Rau HG, Buttler E, Meyer G, et al. Laparoscopic liver resection compared with conventional partial hepatectomy—a prospective analysis. Hepatogastroenterology 1998; 45:2333. 11. Piek J, Oertel J, Gaab MR. Wateqet dissection in neurosurgical procedures: clinical results in 35 patients. J Neurosurg 2002; 96:690. 12. Hubert J, Mourey E, Suty JM, et al. Water-jet dissection in renal surgery: experimental study of a new device in the pig. Urol Res 1996; 24:355. 13. Shekarriz H, Shekarriz B, Upadhyay J, et al. Hydro-jet assisted laparoscopic partial nephrectomy: initial experience in a porcine model. J Urol 2000; 163:1005. 14. Shekarriz H, Shekarriz B, Burk CG, et al. Hydro-jet-assisted pneumonectomy: a new technique in a porcine model. J Laparoendosc Adv Surg Tech A 2002; 12:371. 15. Shekarriz H, Shekarriz B, Upadhyay J, et al. Hydro-Jet assisted laparroscopic cholecystectomy: initial experience in a porcine model. JSLS 2002; 6:53. 16. Shekarriz H, Shekarriz B, Kujath P, et al. Hydro-Jet-assisted laparoscopic cholecystectomy: a prospective randomized clinical study. Surgery 2003; 133:635. 17. Corvin S, Oberneder R, Adam C, et al. Use of hydro-jet cutting for laparoscopic partial nephrectomy in a porcine model. Urology 2001; 58:1070. 18. Shekarriz B. Hydro-jet cutting for laparoscopic partial nephrectomy in a porcine model. Urology 2002; 60:199. 19. Shekarriz B, Upadhyay J, Jewett M. Further experience with Hydro-Jet dissection for renal-sparing surgery [abstr]. BJU Int 2002. 20. Shekarriz B, Upadhyay J, Jewett M. Neve-sparing retroperitoneal lymphadenectomy using Hydro-Jet dissection: initial experience. J Endourol. In press. J Endourol; 18:273. 21. Basting RF, Djakovic N, Widmann P. Use of water jet resection in organ-sparing kidney surgery. J Endourol 2000; 14:501. FIGURE 6 ■ Intraoperative photograph of dissection of the postganglionic retroperitoneal sympathetic nerves using the Helix™ Hydro-Jet. The right nerve roots at the vertebral levels of L2-L4 seen from the patient's right side.